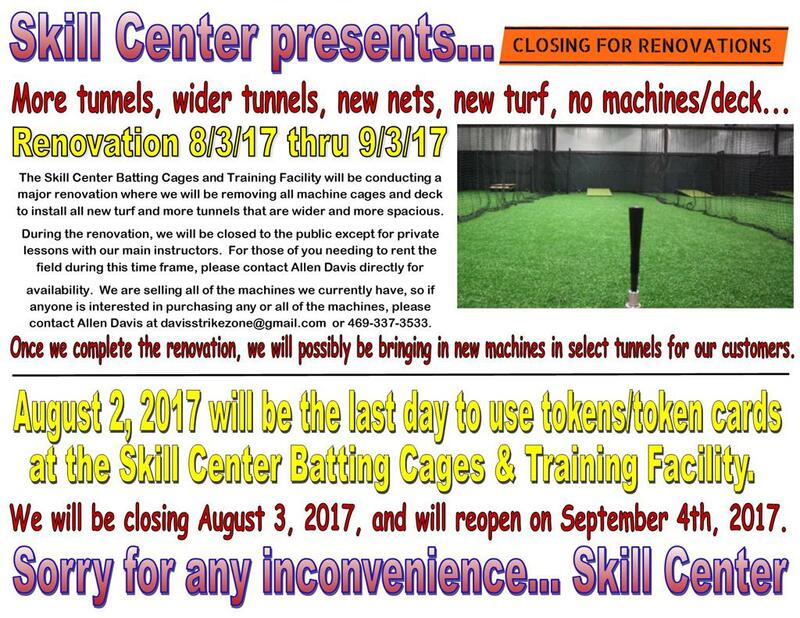 The Skill Center Batting Cages and Training Facility will be conducting a major renovation where we will be removing all the machine cages and deck to install all new turf and more tunnels that are wider and more spacious. During the renovation, we will be closed to the public except for private lessons with our main instructors. For those of you who are needing to rent our field during this time frame, please contact Allen Davis directly for availability. 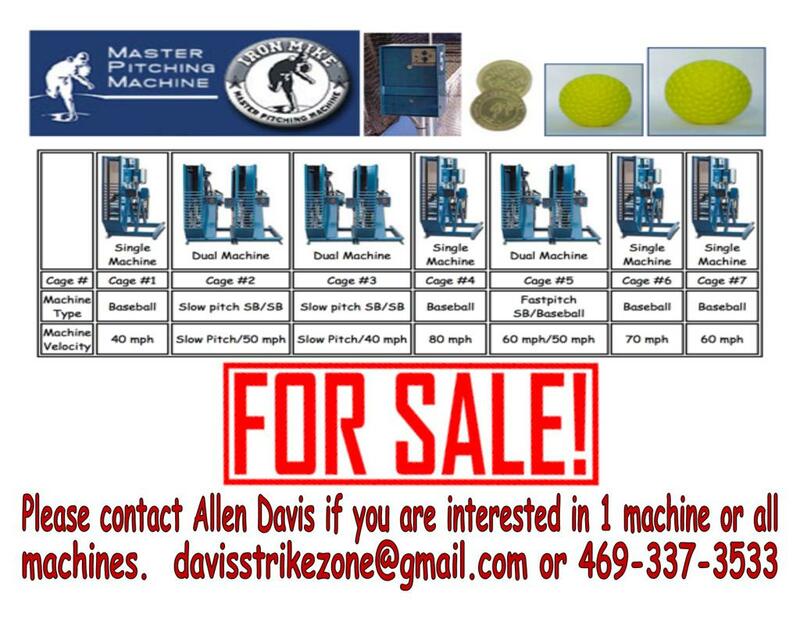 We are also selling all of the machines we currently have, so if anyone is interested in purchasing any or all of the machines, please contact Allen Davis at davisstrikezone@gmail.com or 469-337-3533.